Background: Lung cancer is the most common primary site of brain metastases. Patients with a single brain metastasis from non-small cell lung cancer (NSCLC) have the potential for long term survival. Case report: A 39-year-old man presented stage IIIB (cT2N3M0) NSCLC. He underwent concurrent chemoradiotherapy. Follow-up chest CT and PET-CT showed complete tumor remission. The patient had headache and visual symptom 18 months after completion of treatment. The brain MRI showed metastatic brain mass. The size of single mass was 6.6 cm. He refused surgical procedure for brain lesion. He received radiation therapy. Total dose to PTV was 30 Gy in 5 fractions. The radiation therapy was well tolerated. Partial response of brain lesion was achieved and remained stable for 10 months until bone metastasis was found. Conclusions: Fractionated stereotactic radiotherapy (FSRT) in the current study could achieve good local tumor control and prevent neurological symptoms from worsening. Brain metastases are more common than all other primary intracranial tumors [1-3]. Lung cancer is the most common primary site [4-6]. Approximately 20–50% of patients present with a single lesion in the brain. Patients with a single brain metastasis from non-small cell lung cancer (NSCLC) have the potential for long term survival [7,8]. Treatment for this lesion includes some combination of steroids, whole-brain radiation therapy (WBRT), local radiation therapy including stereotactic radiosurgery (SRS), and surgical resection. The management for these patients is controversial. Although radiation therapy is non-invasive, whole brain radiation therapy have some brain toxicities. This shifted away from whole brain radiation therapy (WBRT) toward local treatment modalities including radiosurgery (RS) and fractionated stereotactic radiation therapy (FSRT) [9-11]. A 39-year-old man (ex-smoker) with no significant past medical history presented stage IIIB (cT2N3M0) NSCLC. He had chronic cough. Tumor-related symptoms included worsening of dyspnea on exertion. The biopsy proven histology of lung cancer was an adenocarcinoma. Computed tomography (CT) of chest and positron emission tomography (PET-CT) using 2-deoxy-2-[fluorine- 18]-fluoro-D-glucose showed 3.8 cm sized primary tumor in the right upper lobe and positive lymph nodes in the ipsilateral mediastinum and supra clavicular lymph node. There were no brain metastases on brain MRI. He was scheduled for concurrent chemoradiotherapy, consisting of lung irradiation with a total dose of 66 Gy in 33 fractions. Chemotherapy was administered concurrently with cisplatin and taxol. This regimen was repeated for 6 cycles. Two months after the last cycle of chemotherapy, chest CT and PET-CT showed the primary tumor and positive lymph nodes were disappeared. He had achieved clinically complete remission of lung cancer. At the time of 18 months after completion of treatment, he had headache and visual symptom of hemianopsia. A brain MRI revealed large single brain mass of left occipital area. The tumor mass in the axial plane of the brain MRI was measured at the longest cross-sectional diameter. Maximum diameter of metastatic brain mass was 6.6 cm. There were no recurrence of lung and regional lymph nodes. He refused surgical procedure for brain lesion. He received radiation therapy. The radiation therapy was delivered with 6-MV photons to a partial brain field using intensity-modulated radiotherapy (IMRT) technique. CT was matched with brain MRI for definition of the mass. Gross tumor volume (GTV) was delineated. Clinical target volume (CTV) was not generated. Isotropic margin of 5 mm was added to GTV to generate the planning target volume (PTV). Volume of PTV was 160.0 cm3. The dose was prescribed to cover a minimum of 95% of PTV (Figure 1). Total dose to PTV was 30 Gy in 5 fractions. Mean brain dose was 12.2 Gy. Toxicity monitoring was performed every day to record any side effects. The radiation therapy was well tolerated with side effects of hair loss, scalp irritation. No worsening of brain symptoms was observed. Partial response of brain lesion was achieved and remained stable for 10 months until bone metastasis was found at spine. 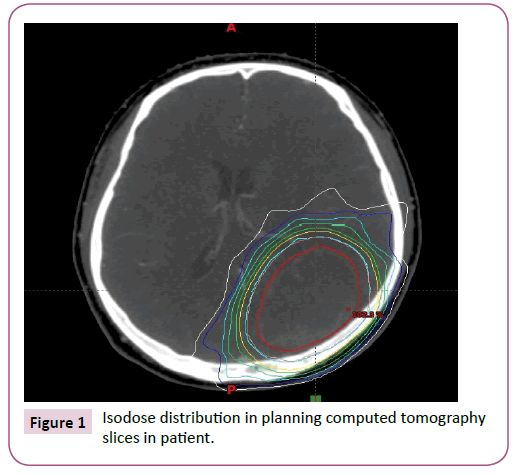 Figure 1: Isodose distribution in planning computed tomography slices in patient. Brain metastases occur in 6-18% of patients as the first site of failure in patients with non-small cell lung cancer (NSCLC), and in up to 50% as a component of failure in patients who have loco-regionally advanced NSCLC treated with curative intent. Most brain metastases were evident within the first year after treatment [12-14]. The present case report demonstrates that fractionated stereotactic radiotherapy (FSRT) can be considered as a feasible treatment in NSCLC patients with single large brain metastasis. The treatment of large brain metastases (>3 cm in maximum diameter) especially in patients with surgical contraindications. These patients who have brain metastases typically been treated with whole brain radiotherapy (WBRT), stereotactic radiosurgery (SRS), fractionated stereotactic radiotherapy (FSRT) or a combination of these [15-19]. The treatment for large brain metastases is usually determined after considering some factors including tumor number in brain, tumor volume, location of tumor and patient’s performance status. The current study provides issue for discussion in the treatment of single large brain metastasis with no extracranial lesions. A large brain metastasis may contain many hypoxic cells that are resistant to radiation [20,21]. FSRT has radiobiological advantages over SRS for large brain metastasis, because reoxygenation of hypoxic tumor cells and redistribution of the cell cycle can be expected between the fractions in FSRT [22,23]. Several studies showed improved clinical results with FSRT for large brain metastases [24-28]. Additionally, FSRT has some clinical advantages compared with WBRT. Biologically higher doses can be delivered with FSRT than with WBRT. In conclusion, FSRT in the current study could achieve good local tumor control and prevent neurological symptoms from worsening. The dose levels of 30 Gy in five fractions seemed to be tolerable and effective against large brain metastases. Gaspar L, Scott C, Rottman M (1997) Recursive partitioning analysis (RPA) of prognostic factors in three radiation therapy oncology (RTOG) brain metastasis trials. Int J Radiat Oncol Biol Phys 37: 745-751. Posner JB (1992) Management of brain metastases. Rev Neurol 148: 477-487. Wen PY, Loeffler JS (1999) Management of brain metastasis. Oncology 13: 941-954. Schouten LJ, Rutten J, Huveneers HA (2002) Incidence of brain metastases in a cohort of patients with carcinoma of the breast, colon, kidney, lung, and melanoma. Cancer 94: 2698-2705. Lagerwaard FJ, Levendag PC, Nowak PJ (1999) Identification of prognostic factors in patients with brain metastases: A review of1292 patients. Int J Radiat Oncol Biol Phys 43: 795-803. Sorensen JB, Hansen HH, Hansen M (1988) Brain metastases in adenocarcinoma of the lung: Frequency, risk groups and prognosis. J ClinOncol 6: 1474-1480. Bonnette P, Puyo P, Gabriel C, Giudicelli R, Regnard JF, et al. (2001) Surgical management of non-small cell lung cancer with synchronous brain metastases. Chest 119: 1469-1475. Billing PS, Miller DL, Allen MS (2001) Surgical treatment of primary lung cancer with synchronous brain metastases. J Thorac Cardiovasc Surg 122: 548-553. Sperduto PW, Jiang W, Brown PD (2017) Estimating survival in melanoma patients with brain metastases: An update of the graded prognostic assessment for melanoma using molecular markers (melanoma-molgpa). Int J Radiat Oncol Bio Phys 99: 812-816. 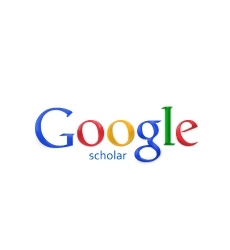 Sperduto PW, Kased N, Roberge D (2012) Effect of tumor subtype on survival and the graded prognostic assessment for patients with breast cancer and brain metastases. Int J Radiat Oncol Biol Phys 82: 2111-2117. Sperduto PW, Yang TJ, Beal K (2017) Estimating survival in patients with lung cancer and brain metastases: An update of the graded prognostic assessment for lung cancer using molecular markers (lung molgpa). JAMA Oncol 3: 827-831. Law A, Karp DD, Dipetrillo T (2001) Emergence of increased cerebral metastasis after high-dose preoperative radiotherapy with chemotherapy in patients with locally advanced non-small cell lung cancer. Cancer 92: 160-164. Komaki R, Scott CB, Byhardt R (1998) Failure patterns by prognostic group determined by recursive partitioning analysis (RPA) of 1547 patients on four Radiation Therapy Oncology Group (RTOG) studies in inoperable non-small-cell lung cancer (NSCLC). Int J Radiat Oncol Bio Phys 42: 263-267. Albain KS, Rusch VW, Crowley JJ (1995) Concurrent cisplatin/etoposide plus chest radiotherapy followed by surgery for stage IIIA (N2) and IIIB non-small-cell lung cancer: Mature results of Southwest Oncology Group Phase II study 8805. J Clin Oncol 13: 1880-1892. Serizawa T (2009) Radiosurgery for metastatic brain tumors. Int J ClinOncol 14: 289-298. Shibamoto Y, Sugie C, Iwata H (2009) Radiotherapy for metastatic brain tumors. Int J Clin Oncol 14: 281-288. Linskey ME, Andrews DW, Asher AL (2010) The role of stereotactic radiosurgery in the management of patients with newly diagnosed brain metastases: A systematic review and evidence based clinical practice guideline. J Neurooncol 96: 45-68. Gaspar LE, Mehta MP, Patchell RA (2010) The role of whole brain radiation therapy in the management of newly diagnosed brain metastases: A systematic review and evidence based clinical practice guideline. J Neurooncol 96: 17-32. Kalkanis SN, Kondziolka D, Gaspar LE (2010) The role of surgical resection in the management of newly diagnosed brain metastases: A systematic review and evidence-based clinical practice guideline. J Neurooncol 96: 33-43. Rampling R, Cruickshank G, Lewis AD, Fitzsimmons SA, Workman P (1994) Direct measurement of pO2 distribution and bio-reductive enzymes in human malignant brain tumors. Int J Radiat Oncol Biol Phys 29: 427-431. Shibamoto Y, Yukawa Y, Tsutsui K, Takahashi M, Abe M (1986) Variation in the hypoxic fraction among mouse tumors of different types, sizes and sites. Jpn J Cancer Res 77: 908-915. Fowler JF (2010) 21 years of biologically effective dose. Br J Radiol 83: 554-568. Murata R, Shibamoto Y, Sasai K (1996) Reoxygenation after single irradiation in rodent tumors of different types and sizes. Int J Radiat Oncol Biol Phys 34: 859-865. Wegner RE, Leeman JE, Kabolizadeh P (2013) Fractionated stereotactic radiosurgery for large brain metastases. Am J Clin Oncol 38: 135-139. Kim YJ, Cho KH, Kim JY (2011) Single-dose versus fractionated stereotactic radiotherapy for brain metastases. Int J Radiat Oncol Biol Phys 81: 483-489. Higuchi Y, Serizawa T, Nagano O (2009) Three-staged stereotactic radiotherapy without whole brain irradiation for large metastatic brain tumors. Int J Radiat Oncol Biol Phys 74: 1543-1548. Fahrig A, Ganslandt O, Lambrecht U (2007) Hypo fractionated stereotactic radiotherapy for brain metastases e results from three different dose concepts. Strahlenther Onkol 183: 625-630. Jiang XS, Xiao JP, Zhang Y (2012) Hypo fractionated stereotactic radiotherapy for brain metastases larger than three centimeters. Radiat Oncol 7: 36.